Black history month is in February and it's a wonderful time to teach your children about the famous African Americans in U.S. history. Today I wanted to share with you our Top 10 Favorite Black History Books For Kids. Here are a few FREE resources you may find helpful too. 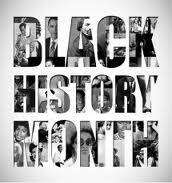 Be sure to also check around your area for Black History events. Here in GA there are many awesome events going on and a lot of them are FREE like these events in Roswell. What is your favorite Black History book please share in the comments?